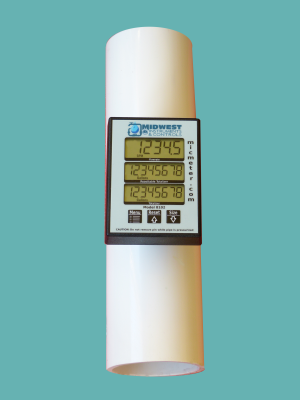 Midwest Instruments & Controls : Providing water monitoring solutions. 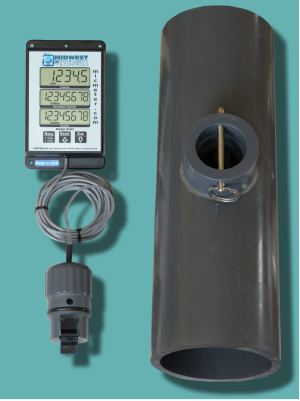 Utilizing the paddle wheel principal, Midwest Instruments has been solving water flow metering issues since the late 1980’s. Our vision is to provide you, the customer, with a hassle free experience with your water monitoring needs. Dependability, reasonable prices and simple installation process has and will remain Midwest Instruments’ core beliefs. Display and sensor are separated. Used in situations where the sensor location isn't easily viewable or accessible. Most popular model. 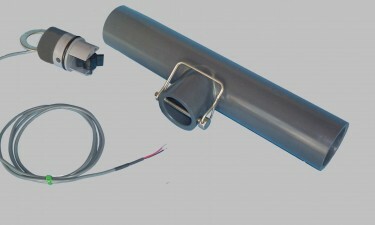 The meter is directly mounted to the pipe ranging in size from 1/2" to 8". Easy viewing is achieved on both horizontal and vertical pipes by rotating the display. The sensor outputs a pulse once per revolution of the paddle wheel. Used with a data acquisition/logging system.